My kids and I have started eyeing the pumpkins that are arriving at our local grocery store. I have been trying to stay patient and not buy any pumpkins just yet...but I think I'll be giving in on our next shopping trip. And we will also be dong one of my favorite activities for Halloween soon too...visiting a nearby pumpkin patch farm. A family can never have too many pumpkins come Halloween time, right? 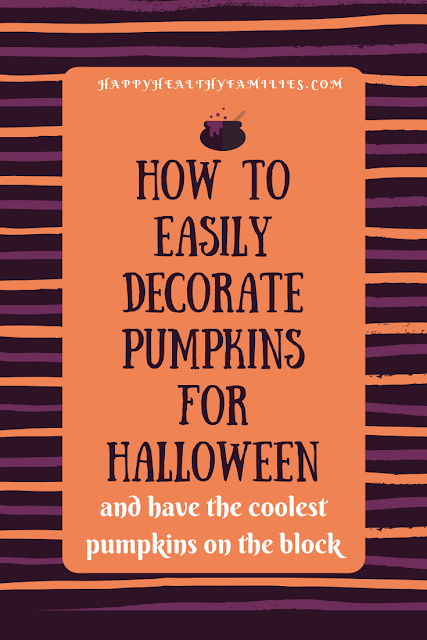 We'll be carving some of our Halloween pumpkins, and doing other pumpkin decorating techniques like using stickers, markers, yarn and what-not on other pumpkins. Better Homes and Gardens has an awesome Pumpkin Carving Stencil Maker that will help make carving pumpkins easier this year too! Design or choose a stencil and then print it out and use it to create a pumpkin like no other. Way cool for those lacking in artistry/carving skills, like yours truly. Have I mentioned that I love Halloween? ?